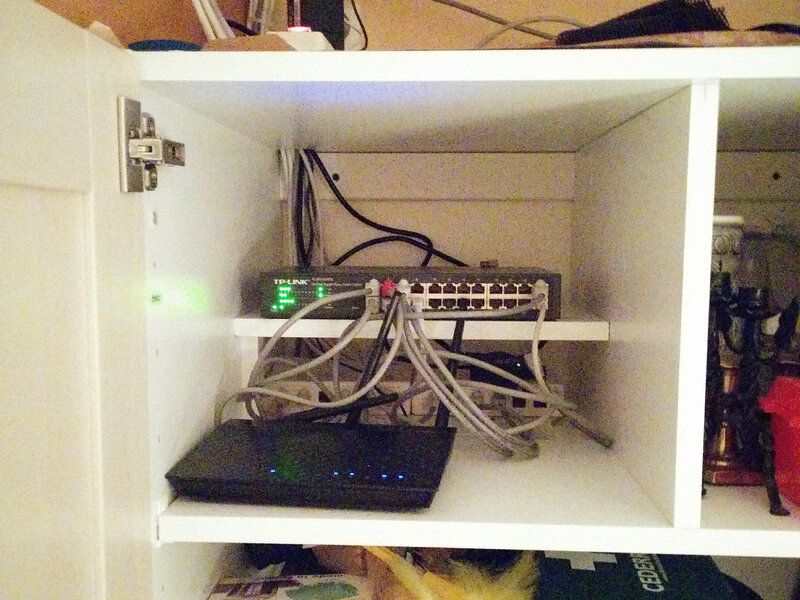 Threw out old Netgear switch, installed a TP-Link one in kitchen cupboard, added a TP-Link switch to the cabinet in store room and moved my NAS there. 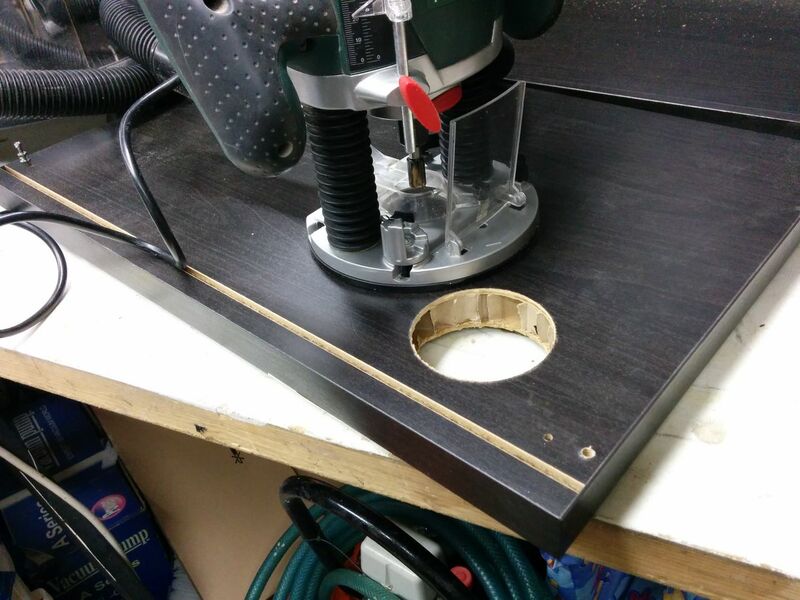 I’m making a new network cabinet. Making is maybe not putting it correctly. Modifying an IKEA BESTÅ cupboard is more correct. I drilled a hole for cables at its bottom and it came out horrible. There is no support for the guide drill so once past the thin shell it wobbles around and makes a huge mess. It will mostly be covered by the plastic tube with flange I will put into it. 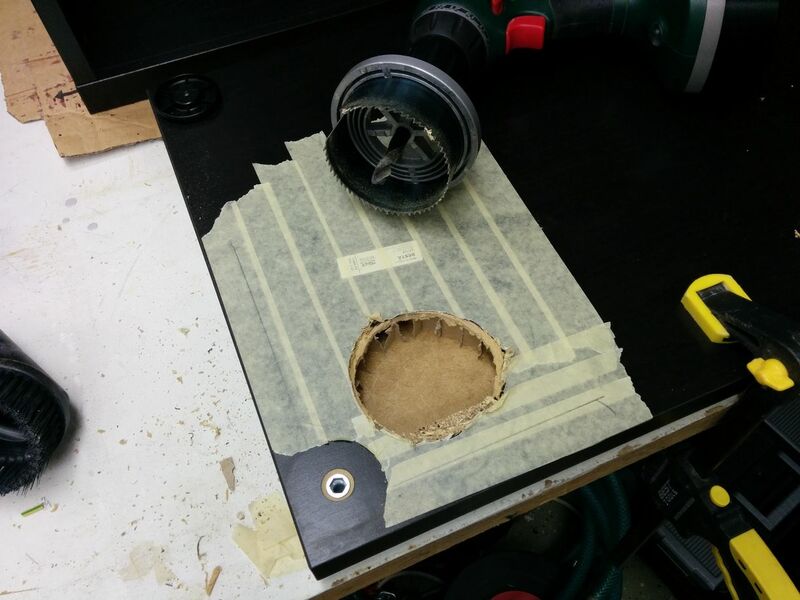 On the opposite side I used a compass to scrape a circle and then a router to plow out the circle. Much better result. The back of is a thin hardboard with veneer on that is floating in grooves. 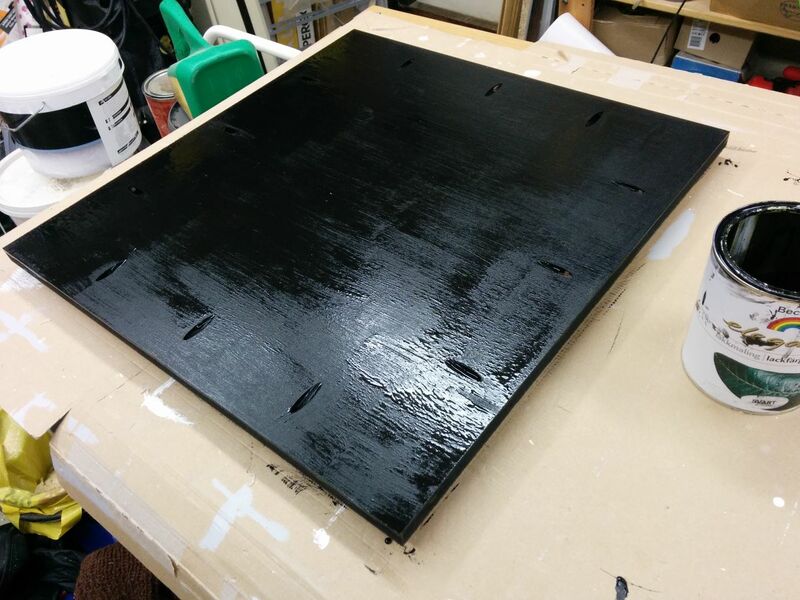 To make the cabinet more rigid and also provide for something to drill into if something is to be mounted on back wall I cut a piece of MDF to a tight fit, drilled pocket holes and painted it (for protection, definitely not for looks). 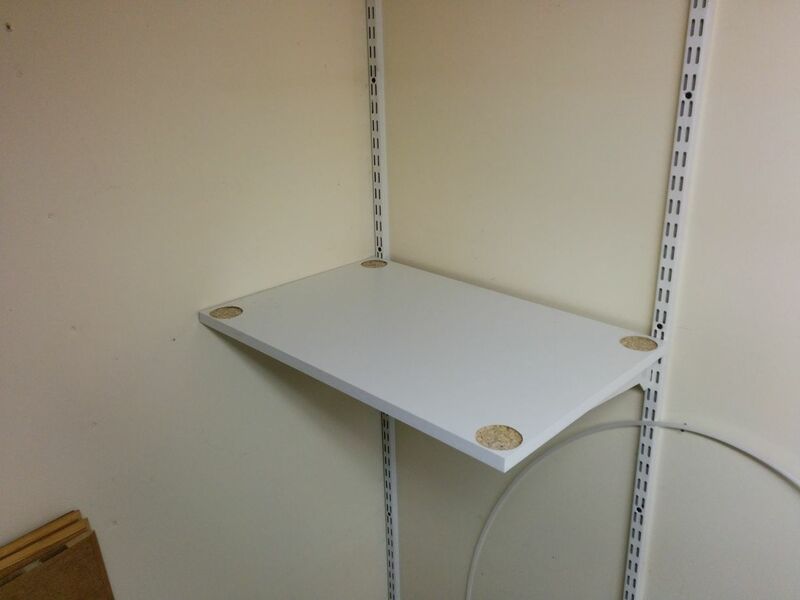 I also cut up a piece of melamine to act as a shelf for the cabinet. I routed out four indents for the cabinet’s feet to stand in to prevent it from sliding off the shelf. 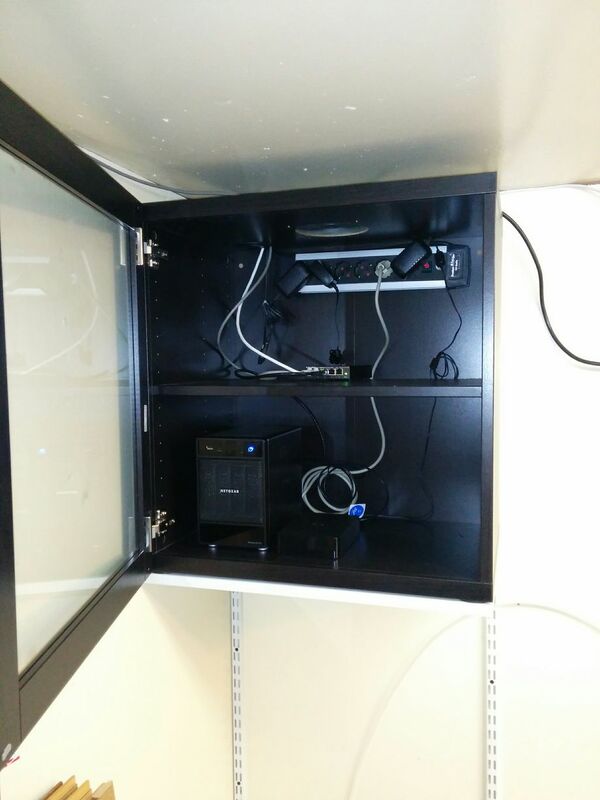 Here’s a video of the cabinet soft closing.